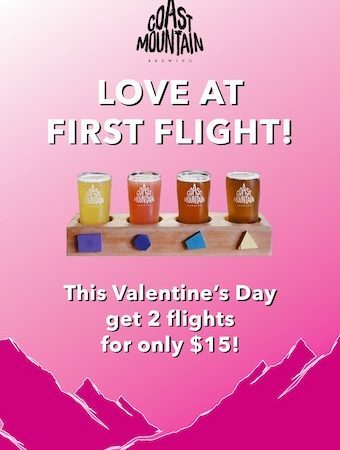 This Valentine’s Day, bring a special someone to the tap house and enjoy all 8 of our delicious beers in two tasting flights for only $15. 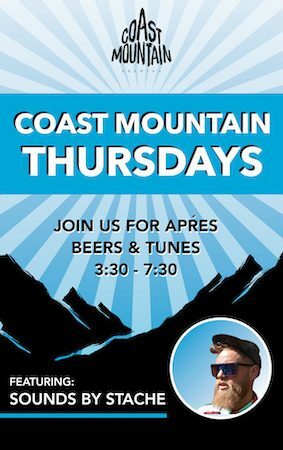 Sounds of Stache will be playing his tunes from 3:30-7:30pm so make sure to swing by after a day of work or riding! 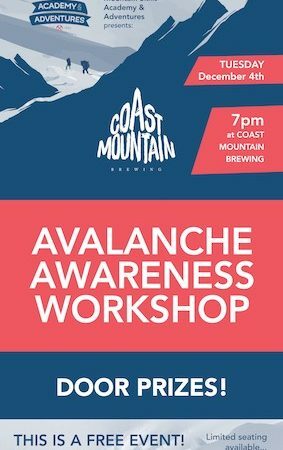 Join us every Thursday from 3:30 – 7:30pm in the tap house to enjoy some beats by DJ Stache. 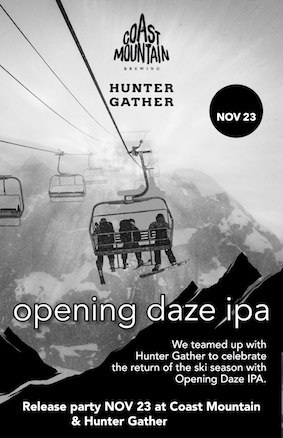 In honour of the opening of Whistler Blackcomb for the ski season, Coast Mountain Brewing collaborated with our good friends at Hunter Gather to bring you our Opening Daze IPA. This beer will be exclusively released in both locations on Friday, November 23rd – hope to see you in Function Junction or the village!